we needed to develop a spectacular stand that not only drew footfall from the 35,000+ visitors, but was able to showcase the breadth of Dell EMC’s end-to-end solutions. The stand was split into four sections with a focus on interactive learning and product engagement, as well as space for key partners of Dell EMC to showcase their solutions. The stand was recognised as ‘Best in Show’ by Tech & Learning Magazine, and delivered a 30% increase of leads YOY. 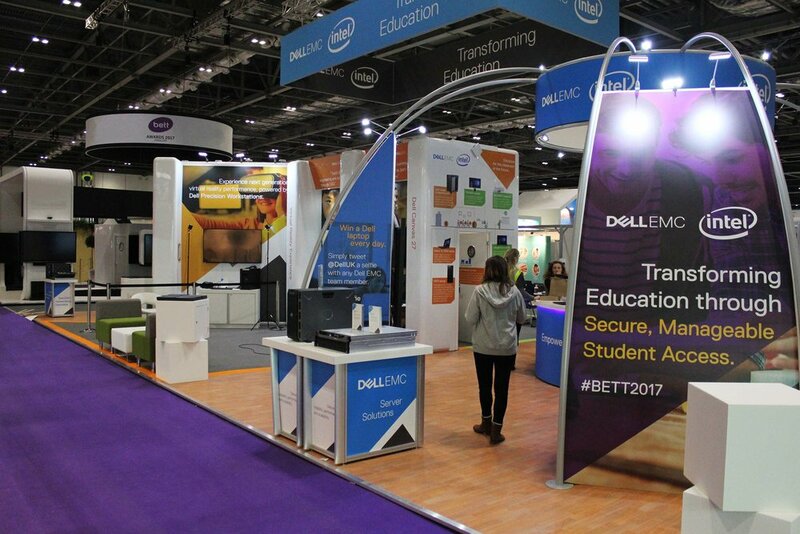 Our stand helped Dell win the Best of Bett Tech and Learning Award. 20% uplift in sales-ready leads year on year.